"...his heart was going like mad and yes I said yes I will Yes." 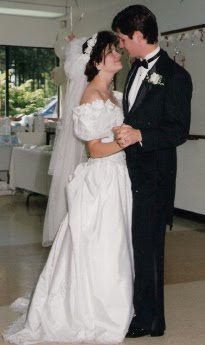 Happy 17th anniversary to the one who still makes me swoon...and Stu, too. Happy Anniversary to you and your man. Happy happy happy anniversary! Hope you're having a great Anniversary Weekend!